Best Resorts in Manali for Family/Hotel Booking in Manali- Manali is indeed the ideal getaway to explore a magical setting steeped in adventure and rich culture. It’s the best destination either for honeymooners, or for family and friends. 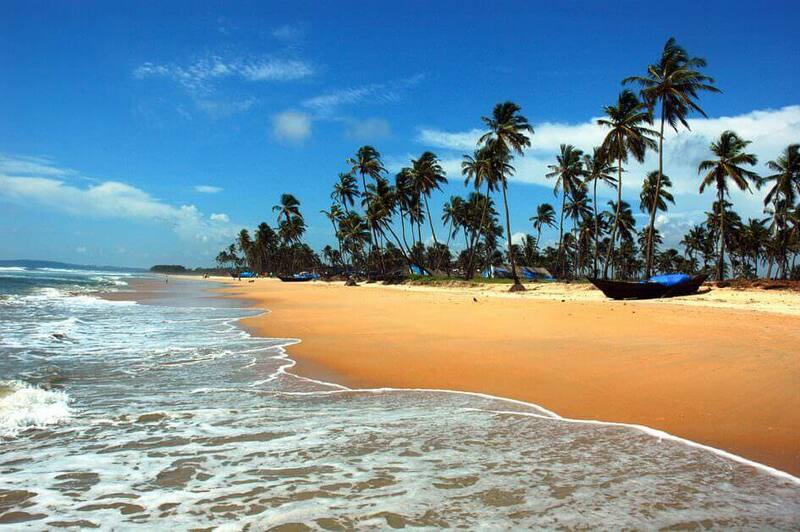 It is that wonderful place or holidaying spot that never ceases to amaze its tourists. The pleasant climate, breathtaking views and several adventure sports activities tempt most of the Indians as well as foreigners to spend quality time on this hill town. Once people decide their vacation place as Manali, the common query that comes in everyone’s mind is ‘where to stay in Manali or best hotels in Manali?’ To make you aware about the Manali Best accomodation, we have prepared a list of budget, luxury hotels/resorts in Manali. 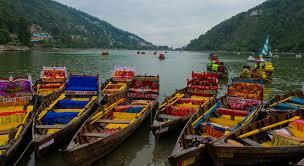 Solang Valley resort is located at around 9 Kms from Manali main market area. The resort is pioneer in providing best services and is one of best resorts in Manali having about 50+ luxurious rooms, with all modern facilities and decorated with local touch. Each room offers excellent view of the Snow clad Mountain Ranges, Forest & orchads. 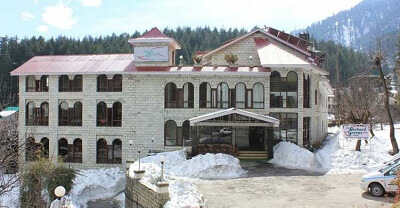 Multi cuisine restaurant, Gym/ Health club, Spa Skating rink and Basketball courts, Shopping arcade, Open air barbecue, and many adventure activities like Paragliding, River Crossing, Skiing, Mountain biking and Snow scooters, etc are some of the popular activities and amenities of Solang Valley Resort Manali. White Meadows-Manali Hotel offers excellent accommodation and great services. From here, guests can enjoy easy access to all that the lively city has to offer. In addition to this, travelers can also enjoy the pine-scented air and the peaceful scenery of the hills while they stay in the resort. 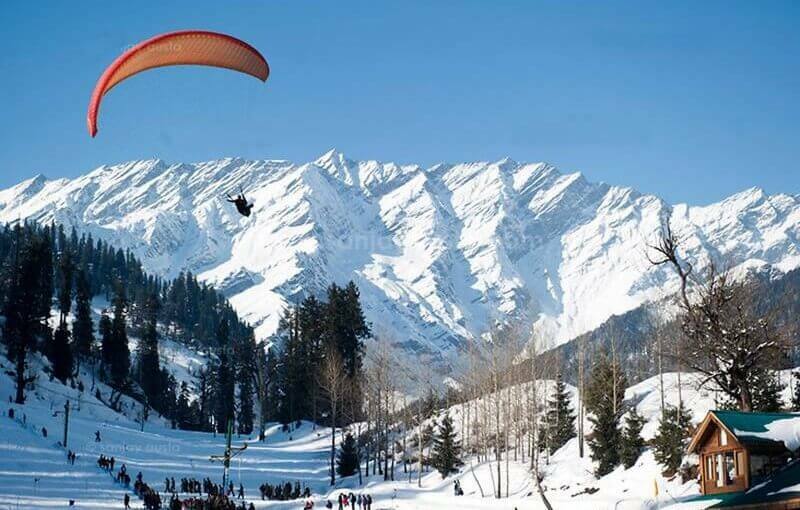 Adventure enthusiasts can take part in paragliding, skiing, river rafting, rope way, rock climbing at the places nearby. 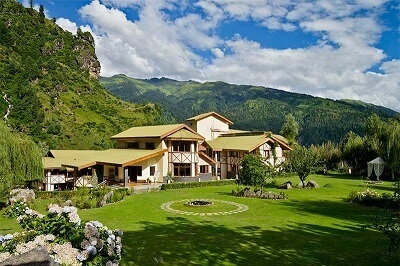 The Orchard Greens is a semi-deluxe hotel in Manali located in the Log Hut area. The hotel has managed to establish the name for itself right from the very beginning. The property offers unobstructed views of the mountain top. It offers various leisure facilities for memorable stay of guests. Unbeatable service and excellent infrastructure in terms of rooms, facilities, and flexible travel plans make it apart from other hotels in Manali. 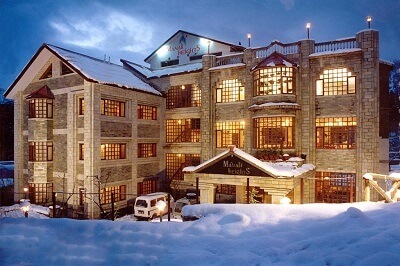 Manali Heights is one of the best hotels to stay in Manali. 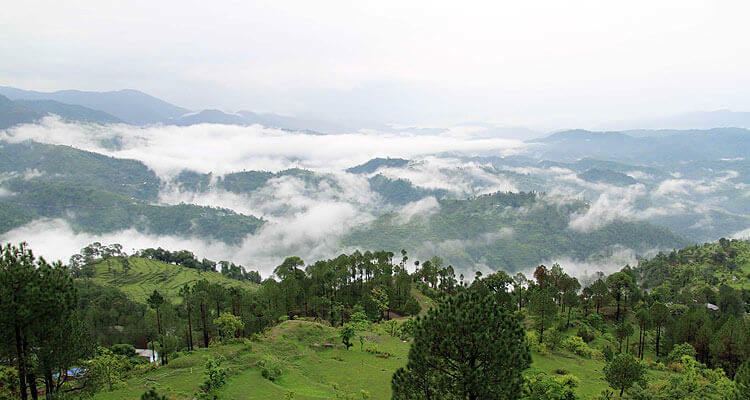 This hotel is surrounded with deodar, pine forest and apple orchards, streams running nearby. With a castle like look, Set amidst 5 centuries old Dhungri forest, the scenic view keeps the guests mesmerized. The hotel also provides the multiple choices in restaurants and bars. The hotel is recommended for all travellers to Manali looking for comfortable and peaceful accommodation. 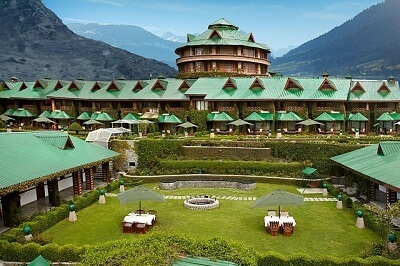 The Himalayan Resort and Spa is a luxury resort in Manali and is a perfect retreat to relax your mind, body and soul. The Himalayan Resort offers cottages with a kitchenette, outdoor experiences, multiple cuisines and a bar. The in-house restaurant at this resort lets guests to enjoy deliciously cooked meals. All in all, it is an excellent property with all facilities, courteous staff & best is the food. 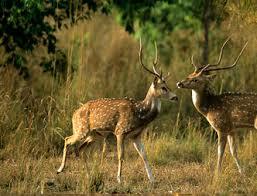 Visit Manali Holiday Package for booking.